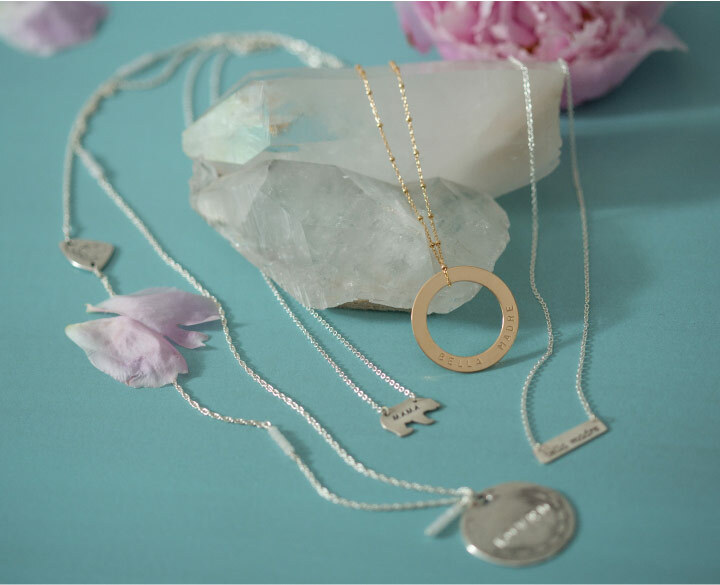 When words aren’t enough, show Mom how deep your love is this Mother’s Day with a wearable sentiment of your affection. We’ve picked a few lovely pieces that each make a splendid statement about the beloved mother figure wearing them. 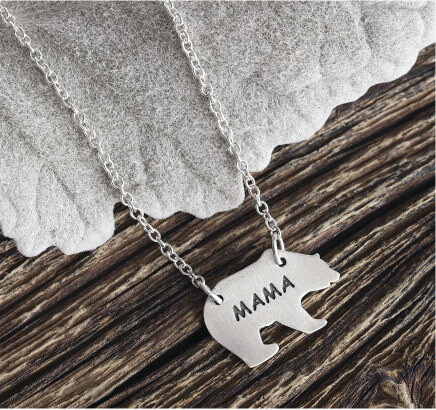 As loveable as she is protective, this necklace is a thoughtful and playful gift for the Mama Bear in your life. A sterling silver bear charm is hand engraved with the words “Mama Bear” and hangs delicately from a sterling silver chain. Also available in gold. 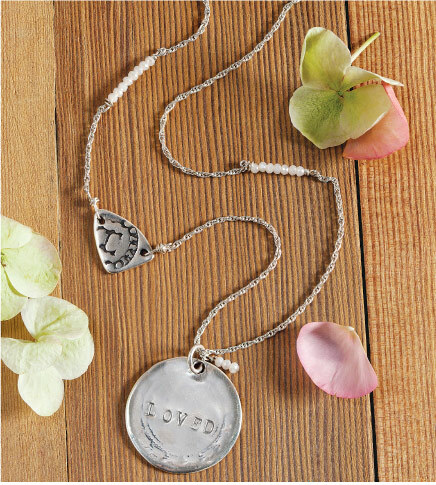 With “Loved” hand stamped on a large coin, this Olive & Cocoa® exclusive necklace will make her feel treasured. Undeniable in presence owing to a 34'' length, this sterling silver necklace is also adorned with alabaster-toned crystals and an artful charm for a stylish statement that’s as unique as her. 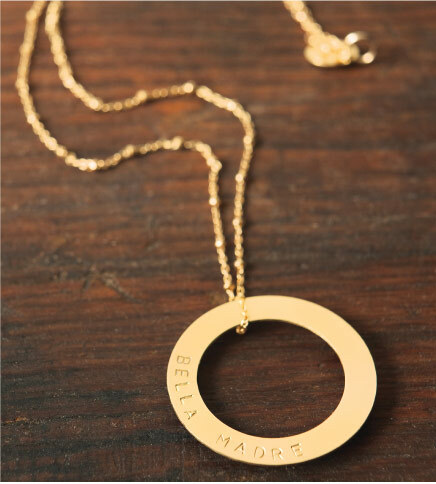 With “Bella Madre” (meaning “Beautiful Mother”), gracefully adorning a delicate gold filled hoop, our necklace beautifully embodies your feelings for her. While petite in size, with the hoop measuring 1 ½'', this necklace is grand in sentiment and sure to become her new favorite. Also available in silver. Our Loved Circle Necklace is an understated and elegant statement of love. 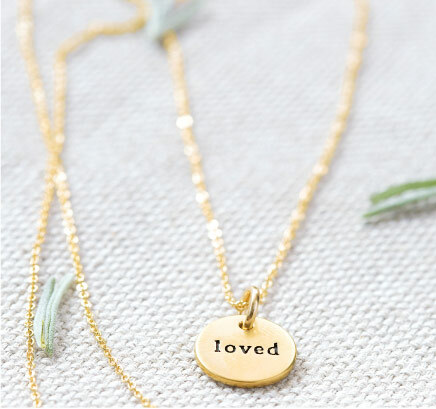 The word “loved” is hand engraved on a small gold plated charm that hangs from a fine, gold filled chain. A timeless accessory that Mom will cherish forever. Also available in silver. 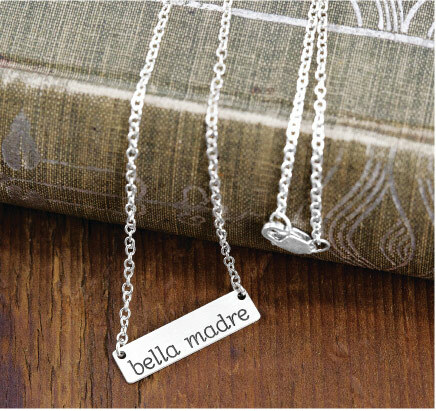 Adorned with the words “Bella Madre”, meaning beautiful mother in Italian, this sterling silver necklace will make Mom feel ravishing both inside and out.